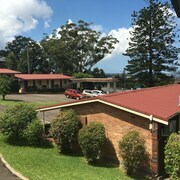 Hotel is in a convenient location (behind McDonalds) with easy access to the nearby RSL club and an easy 20 minute walk into Gosford. 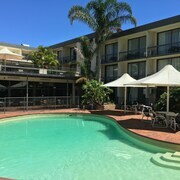 good place to stay as husband had business meeting in gosford. 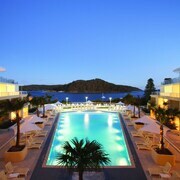 This place is perfect for a night or two, and next time we are in Gosford we will stay again. Very nice service, location quite good. Conditions in the hotel perfectly. Which hotels are closest to the Gosford airport? 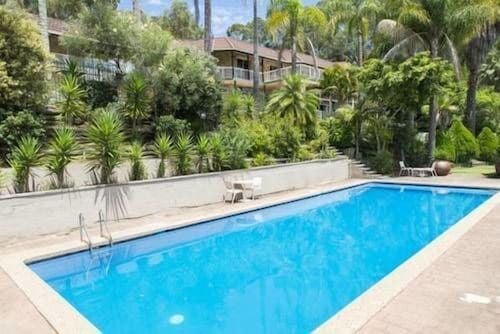 Where to stay near top Gosford attractions? 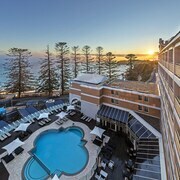 What kind of hotels are in Gosford? 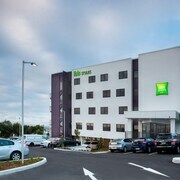 Which hotel chains are in Gosford? Visitors to Gosford are sure to enjoy the bars. Tourists can also enjoy the city's waterfalls and golf courses. A top sight in the area is Newport Beach. The closest major airport is in Sydney, NSW (SYD-Kingsford Smith Intl.) 58.9 from the city center. The next closest is in Newcastle, NSW (NTL-Williamtown) 83.3 away. A couple of favorite places to visit are Central Coast Stadium and Gosford Golf Course. Additionally, you'll find Newport Beach in the area. 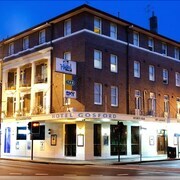 Hotel Gosford - With a stay at this 2.5-star hotel, guests can enjoy access to a restaurant and free parking, along with free WiFi. It's a favorite with Expedia travelers for its bar and convenient parking. Beach-goers, foodies, shoppers, and bushwalkers rejoice—you can have it all in Gosford. Located 85 km north of Sydney, this Central Coast town is a gateway to Brisbane Water National Park, where walking tracks wind through forests and waterfalls. In town, a thriving business district offers boutiques, markets, restaurants, and breweries. Nature and animal lovers should not miss the Australian Reptile Park, where you can get close to birds, wombats, koalas, kangaroos, and Tasmanian devils. When you’ve oohed and aahed over all the animals, head to the CBD, where you can applaud local theatre and browse the wares on Mann Street. 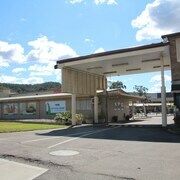 Gosford hotels come in all sizes and fit all budgets. 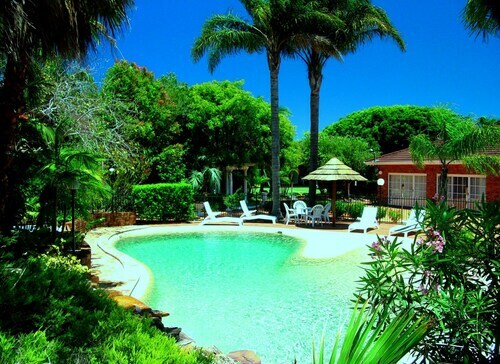 From small bed and breakfasts to luxury resorts, it’s easy to tailor your stay to fit your wants and needs. 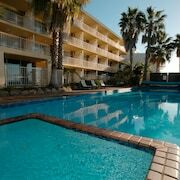 If you’ve set your sights on the beach, Terrigal accommodation will put you right on the shore. 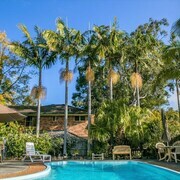 A little farther south, you can take your pick of beachfront or lakefront Avoca Beach accommodation and sleep to the sounds of lapping waves. Gosford is easily accessible on M1 freeway from Sydney to the south and Newcastle to the north. 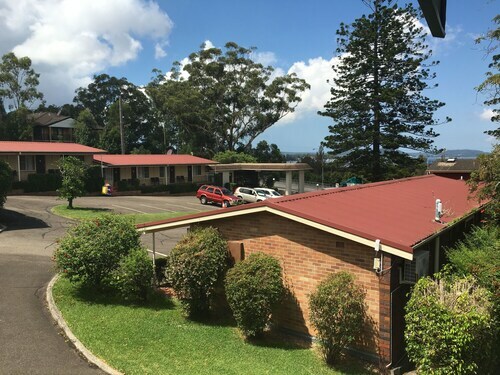 Trains run regularly between Sydney’s Central Station or Hamilton Station and Gosford Railway Station, and you can hire a taxi to take you to any of the hotels in Gosford. To get the fullest picture of the area, your own set of wheels is a big asset. You can hire a car in Sydney and drive into town, or pick one up once you arrive. If you visit in winter, you’ll find mild temperatures and low humidity. The real beach weather starts around December and continues through March, when cool ocean waves can stave off the heat. Winter activities include exploring the area on horseback, zip lining, shopping, and visiting the Gosford Classic Car Museum. For a serene activity any time of year, go to the Gosford Regional Gallery, which houses koi ponds and beautifully manicured Japanese gardens. There is so much to see and do in Gosford, there’s no time to waste! Plan your trip today with our easy-to-use search tools. 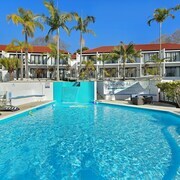 Peruse the selection of Gosford motels, hotels, and resorts on Expedia.com.au and find deals on flights as well. The Central Coast awaits. 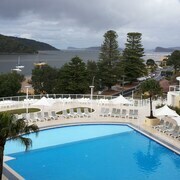 What are the most popular hotels in Gosford? 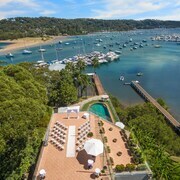 Are there hotels in cities near Gosford? 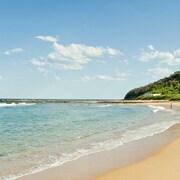 Explore Gosford with Expedia.com.au’s Travel Guides to find the best flights, cars, holiday packages and more!